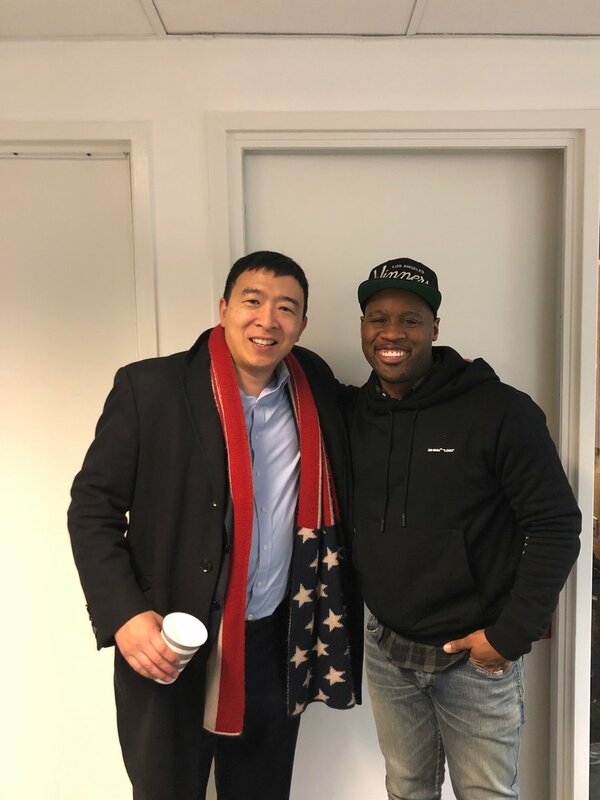 Andrew Yang, left, and Kmele Foster. Many people are running for president as a Democrat these days. Perhaps the most interesting candidate is Andrew Yang, who is making the UBI a central plank of his platform. As I drove to work today, I listened to an interview of Yang by Kmele Foster on the "The Fifth Column" libertarian podcast. Foster is a libertarian skeptic, but he gives Yang plenty of time to talk. You can learn more about Yang from his website and his Twitter account. You can follow Kmele on Twitter, too; that's where I found the above photograph. While I'm not too terribly amused with Yang going on Joe Rogan's podcast I'm enjoying his campaign and am glad that the UBI is getting exposure. I also agree with his stance on male genital mutilation. Big Think takes on Illuminatus!